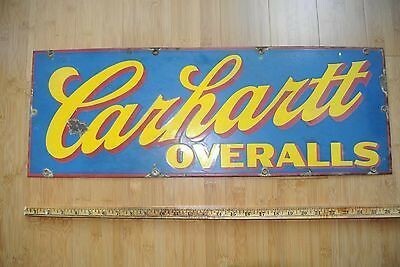 The light blue, red, and yellow all contrast quite nicely on this Carhartt Overalls sign. The sign is about 26″ long and has a red boarder. The text is in yellow and has a red drop shadow.